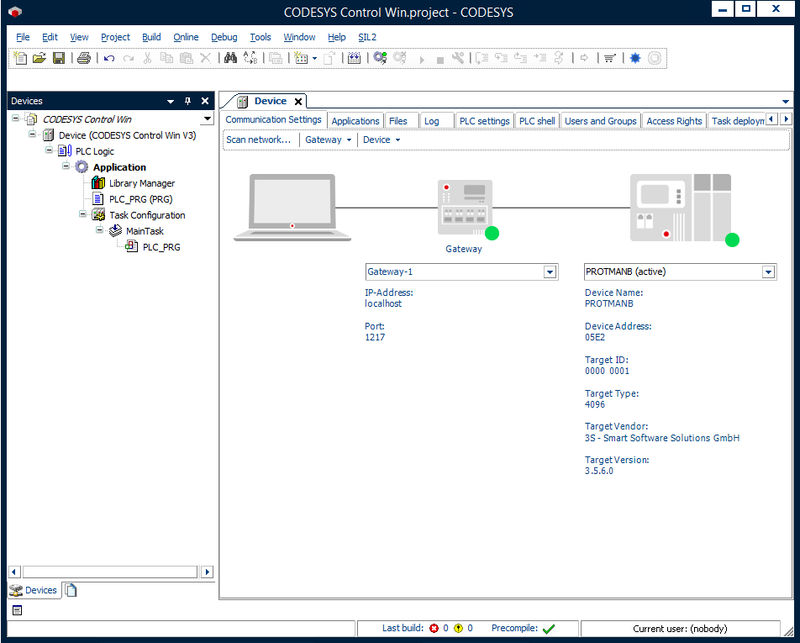 CODESYS Control Win SL is an IEC 61131-3 SoftPLC for PC-based industrial controllers (PLCs) under Windows with soft real-time properties. The CODESYS Control Win SL turns an industrial PC into a universally usable high-performance PLC - almost arbitrarily scalable via the PC performance. The system is suitable for applications without tough requirements on real-time behavior and is equipped with the add-on CODESYS KNX SL is also used in buildings. The runtime system supports numerous I/O interfaces such as discrete input/output or fieldbus cards as well as integrated IEC 61131-3 protocol stacks. The fieldbuses are configured directly in the CODESYS Development System - without the use of additional tools. CODESYS OPC UA Server, as full version for data exchange. For representation and operation of CODESYS visualization screens in any web browser with HTML5 technology. For representation and operation of CODESYS visualization screens on devices with built-in or directly connected displays. For creating applications according to ANSI/ASHRAE 135-2012. For using CODESYS compatible devices as KNX devices that communicate with KNX I/Os. Detailed information can be found in the CODESYS Online Help. Note: Use the project “Device Reader” to find out the supported features of your device. “Device Reader” is available for free in the CODESYS Store. License activation optional on CODESYS Runtime Key or CODESYS Soft Key (free of charge component of CODESYS Controls). Licensing via CODESYS Soft Key is strictly linked to hardware. This product includes a CODESYS Support Ticket, incl. 1 hour support of CODESYS. More details can be found in the CODESYS Store product CODESYS Support Ticket. Please log in/register to carry out this operation. The shopping cart has not yet been approved for use. You may be located in a country where purchasing from foreign online shops is prohibited. If you think a mistake has been made, then please visit the CODESYS Store and click on the red button "My question" on the right. Do you already have a CODESYS Security Key to store your licenses?